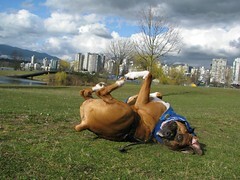 Freckle enjoying Vanier Park – what a goofball! This is one of my favourite photos of Freckle. 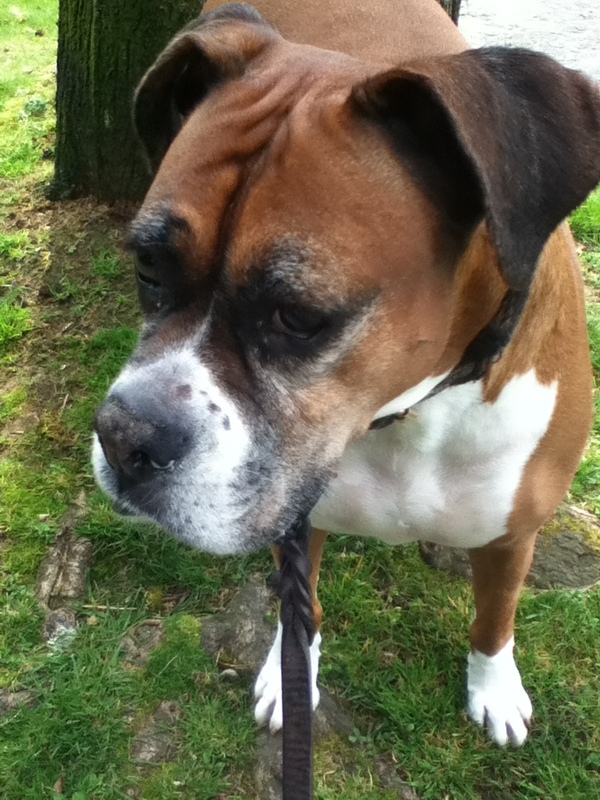 She’s enjoying the cool spring weather last March and the energy that comes from a looming storm. By the time we walked home from Vanier Park, the rain had begun in earnest. More photos of Freckle at Vanier that day can be found on my Flickr account, along with lots of others.